You know its the first Sunday of December in Guanacaste, Costa Rica because it’s Mike’s Big Bash!!! If you missed it that’s really TOOOOO BAAAD for you as there was a fully stocked free flowing Bar, outstanding food and 2 Live music acts throughout the day. 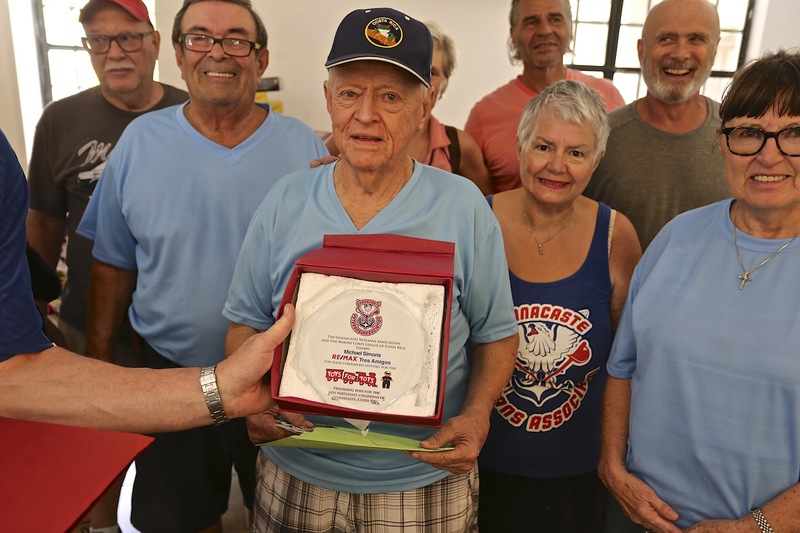 More than 600 people came from all over the area and literally all over the world – some just for this big yearly event. 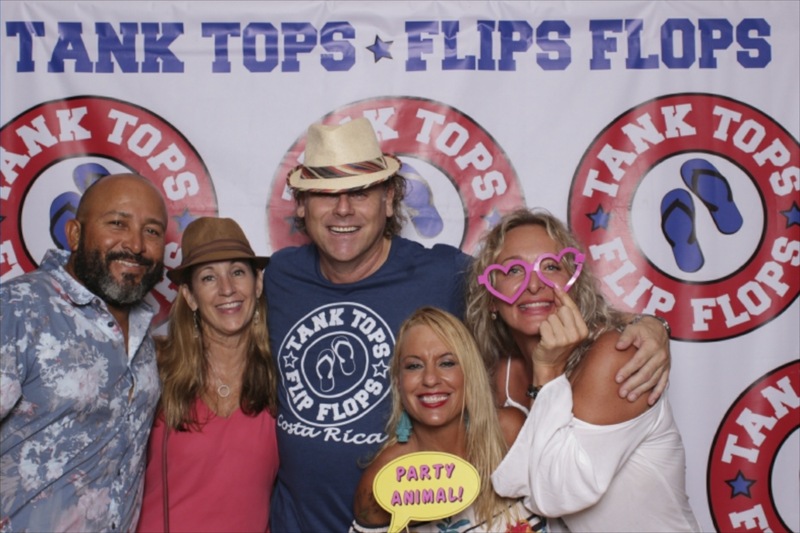 To see all the photos of the party and check them out at the Tank Tops Flip Flops Facebook page. Make sure you like our page while you’re at it. Obviously as you can tell we all feel blessed to be living, working and enjoying ourselves down here in paradise. 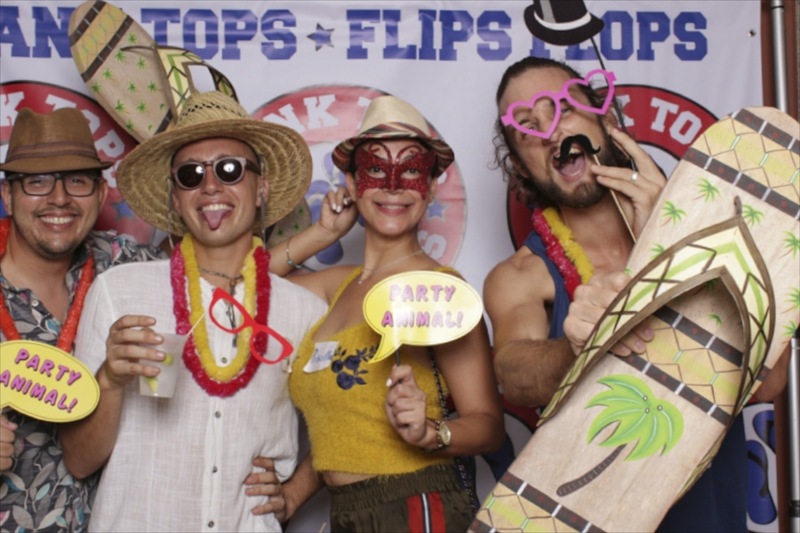 It is easy to throw a big party and whoop it up – we are experts at that. 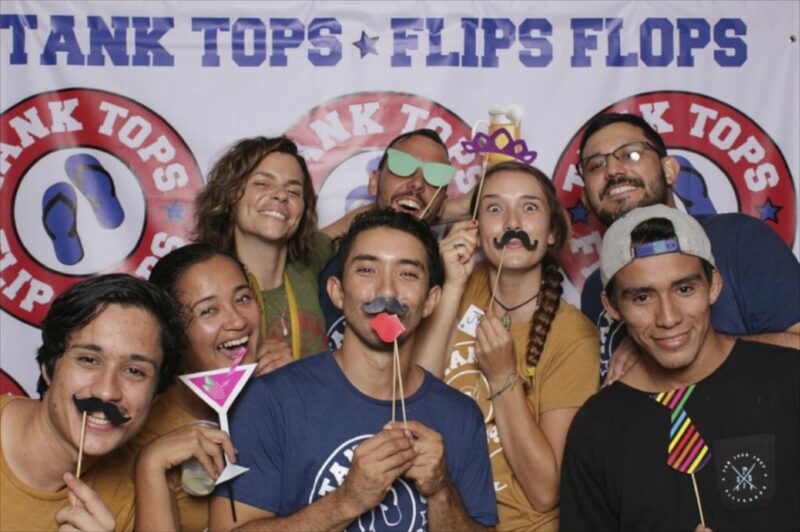 But a few years back we decided to all join together and while we are all having a good time we wanted to take the opportunity to give something back for the community at the same time. 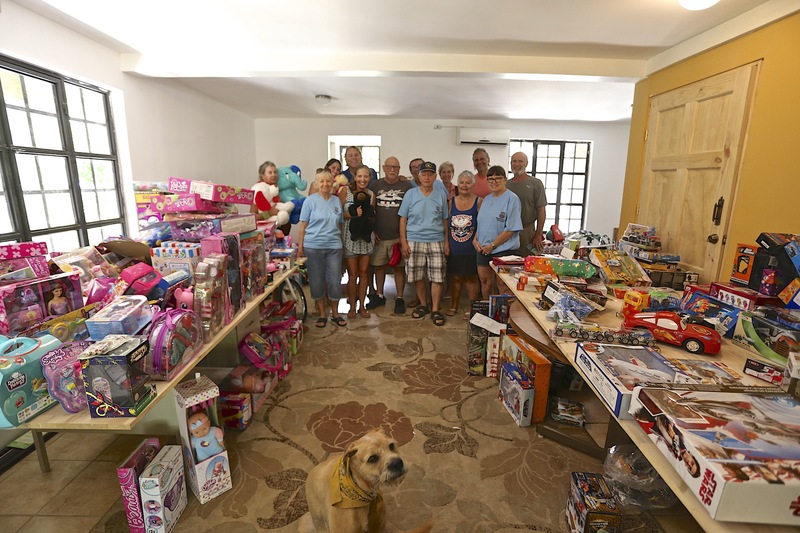 So we teamed up with the local Toys for Tots program put on by the Guanacaste Veterans Association. Every single person who came to the party brought at least 1 toy for the cause. The response was overwhelming and just from the party alone we were able to amass 8 SUV loads of toys that will be given as Christmas Gifts to area kids in need. Nothing like a shiny new toy for Christmas when you’re a kid! Well I wanted to throw that right back at you and thank all the people who put in the hours coordinating the program, putting out all the collection boxes, gathering and sorting all the toys and eventually getting them out to the needy children. We could not do it without you so it has been a great community effort to make this program such a success. While everyone was partying and having a good ‘ol time we at TANK TOPS FLIP FLOPS were busy selling Tank Tops and T shirts to benefit charity. Consider yourself lucky if you purchased one of the limited edition “Just Landed in Costa Rica Mike’s Big Bash” shirts as there will never be another one made like it AND all the proceeds will go to buying more toys for Toys for Tots. 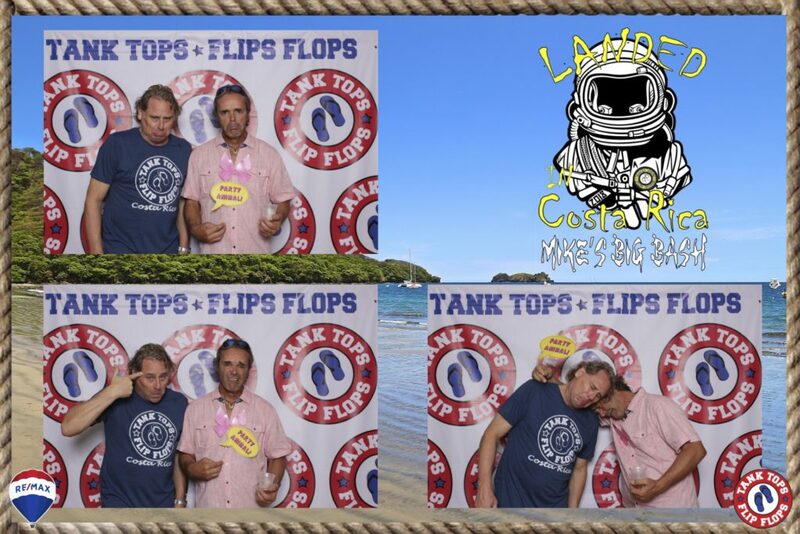 We raised OVER $1,600 selling Tank Tops Flip Flops limited edition shirts so thanks everyone for your support!! If you didn’t or couldn’t make it this year we feel sorry for you – YOU MISSED OUT BIG TIME – but will be waiting for you next year!! !